Joe Schlesinger, MD is an Assistant Professor in the Department of Anesthesiology and Division of Critical Care Medicine at Vanderbilt University School of Medicine with adjunct faculty appointments in Vanderbilt University School of Nursing and Vanderbilt University School of Engineering (Biomedical Engineering). After earning his Bachelor of Arts in Music with a concentration in Jazz Piano Performance from Loyola University in New Orleans, Dr. Schlesinger earned his Doctor of Medicine degree from the University of Texas Health Science Center at Houston. 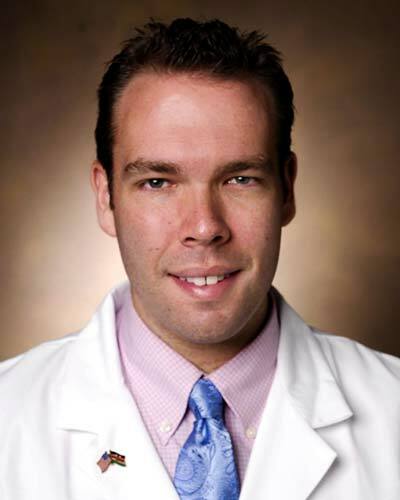 He completed residency training in Anesthesiology followed by a fellowship in Critical Care Medicine at Vanderbilt University. While in training, Dr. Schlesinger became a B.H. Robbins scholar. Dr. Schlesinger’s research interests include multisensory integration, human factors, aural perception, temporal precision, alarm development, patient monitoring, ICU delirium, and PTSD. He is specifically interested in alarm development to decrease practitioner alarm fatigue and ICU delirium and PTSD in patients. He was awarded the prestigious Education Specialty Award from the Society of Critical Care Medicine in 2014.